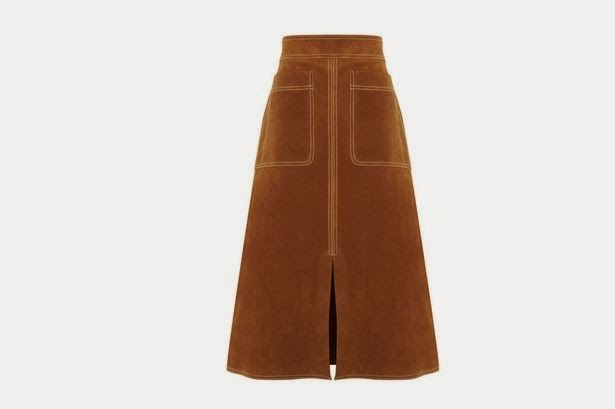 The skirt the fashion editors and celebrities are hailing as 'the' suede skirt of the season. 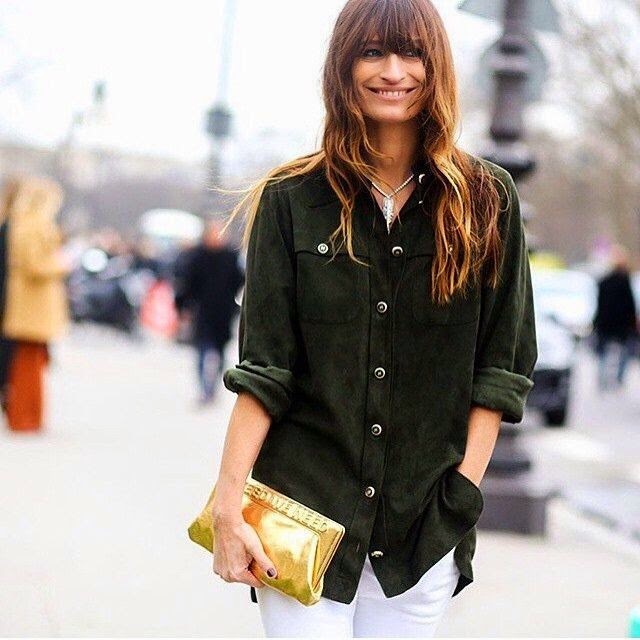 A little on the pricey side but seeing as the likes of Alexa Chung (see above) and Olivia Palermo are fans it is worth having a look and trying on if you see one in store. The shape is super flattering with heels and the split takes it up a notch and away from a frumpy look. 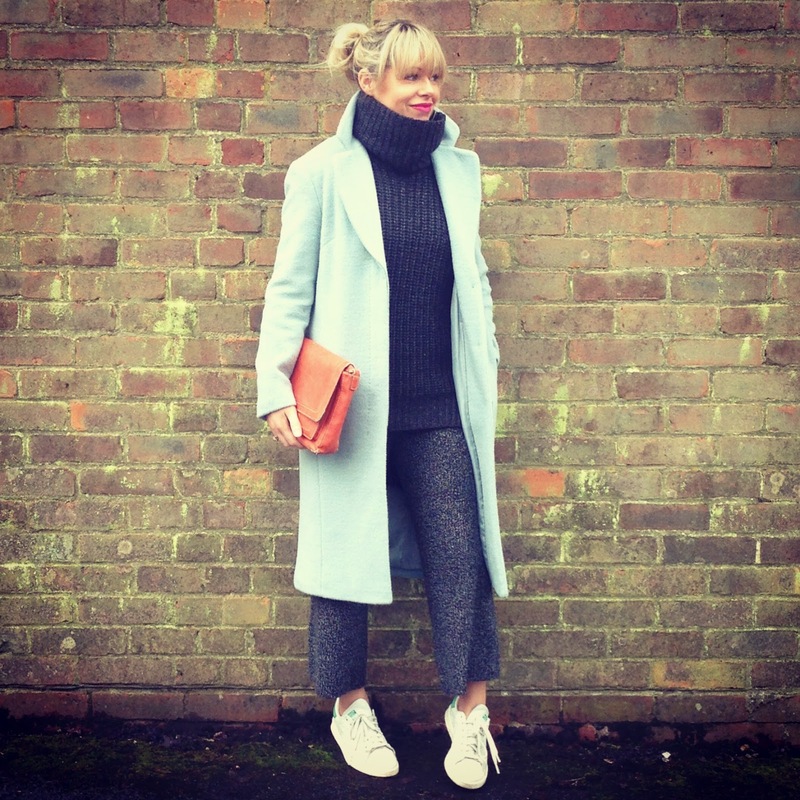 This suede coat is a 'grown up' style, layer up over a denim jacket, skinny leather ankle length trouser, stan smith trainers and a bright scarf for a touch of colour. 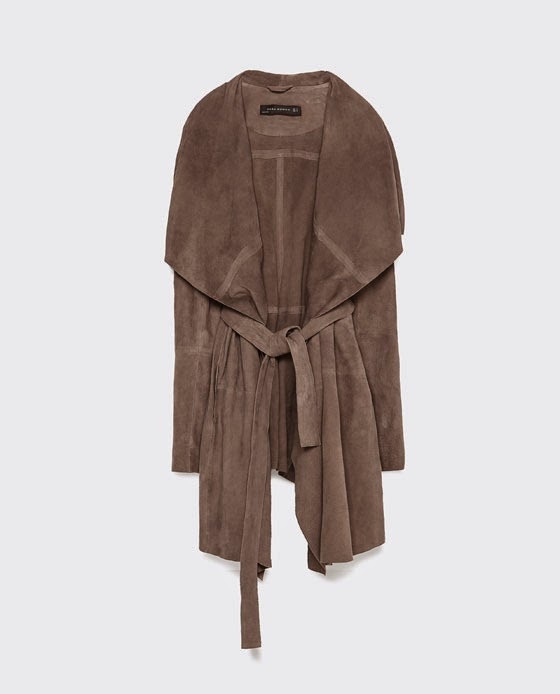 In the summer throw over your denim dress, would look great with tanned legs and white pumps. 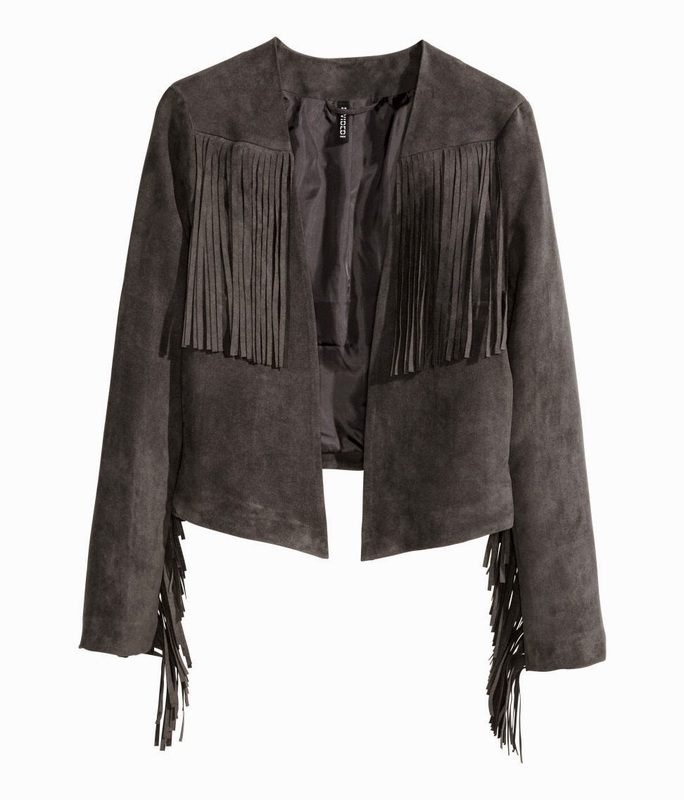 This jacket ticks this season's fringing and suede trend. Keep the rest of your outfit very simple to avoid detail overload, a grey tee, black skinny jeans and black pointed flat shoes would look gorgeous! This is a beautiful colour green, for the bolder of you out there clash with a hot pink/orange sweater and wear with black opaques and black shoes, throw a fur coat over for a real 70s vibe. If you are more reserved I would team with a navy cashmere sweater and brown knee high boots. As above clash if feeling bold or team with black for a more subtle look. A beautiful neutral skirt will go with all colours and be a hardworking item in your wardrobe. 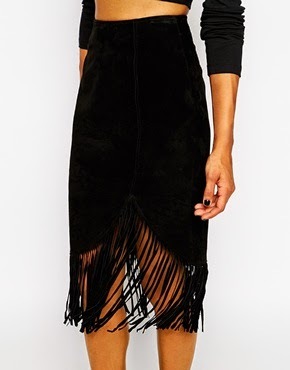 A gorgeous statement skirt for a night out..I would keep the top simple and wear with a denim shirt and then put on a pair of gorgeous animal print shoes and a colour pop duster coat..outfit perfection! 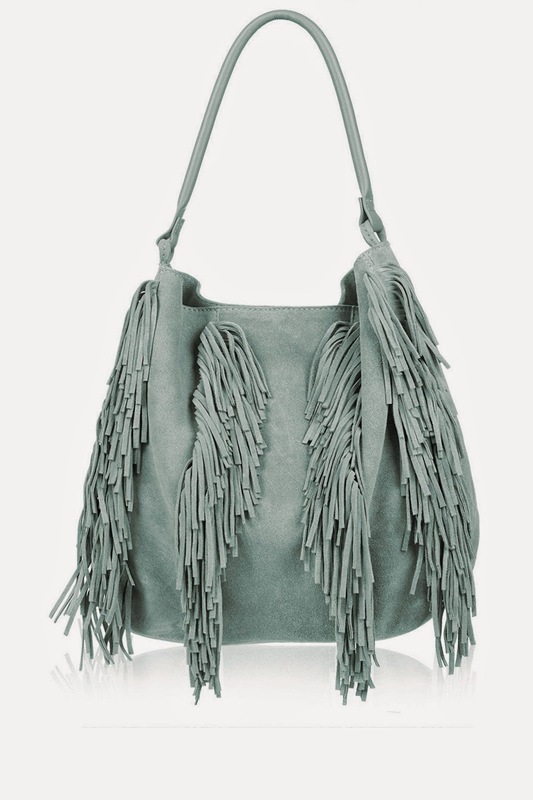 This is an amazing price for a suede bag, it also comes in a beautiful stone colour perfect for a more subtle approach to suede. Wear this with pinks, blues and greys..beautiful and retro with a modern twist. This is huge, you can fit everything in this bag and still look pretty cool! Real suede and again an affordable price. 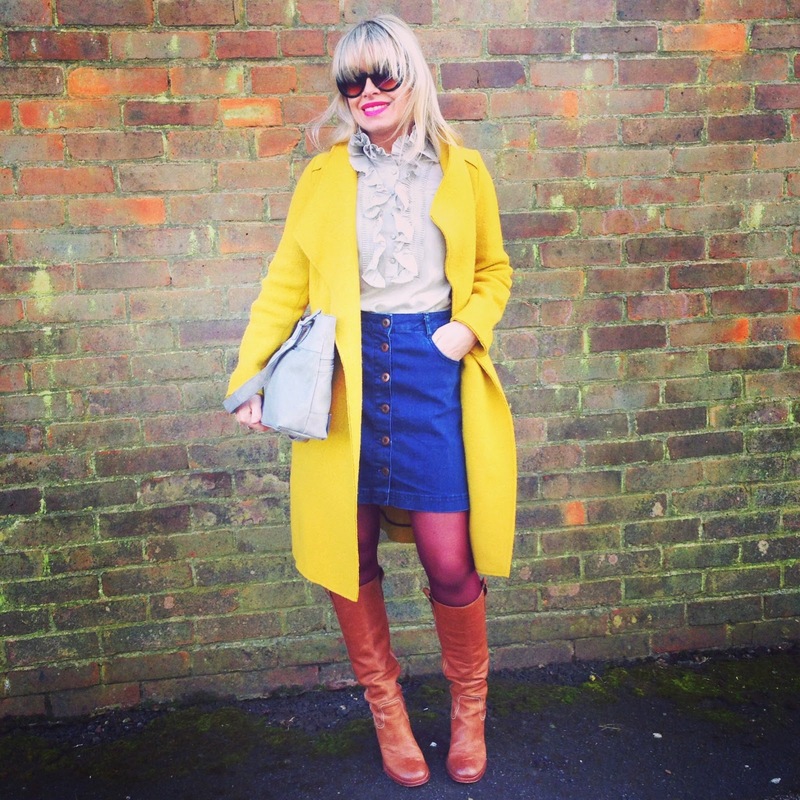 Staying with the 70s theme that I am totally embracing, I resurrected my old Topshop denim skirt that I bought 5 years ago and mixed up some colours for a lovely lunch out with friends..
For a cold day, it was all about wool..! I really have my eye on that M&S skirt, it looks like such a perfect length and would be so useful for next winter too! 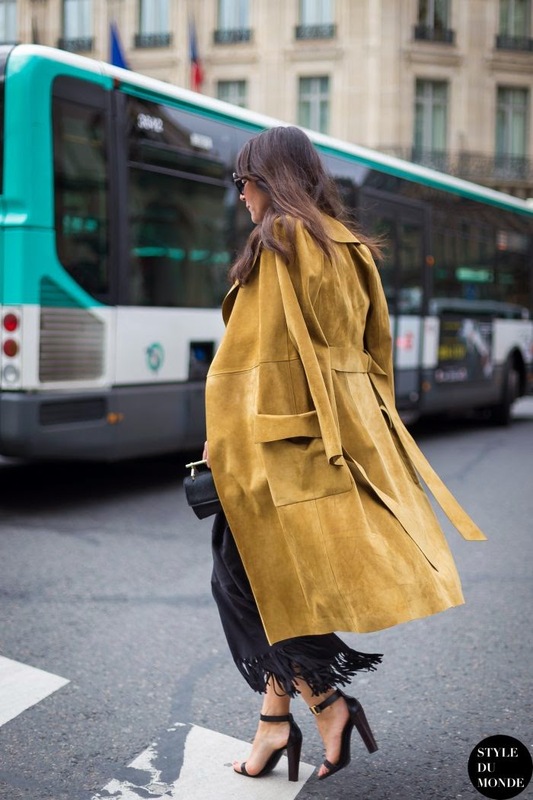 What do you think of suede, is it your fabric of choice, do you have any suede skirts stored at the back of your cupboard you can wear this season? 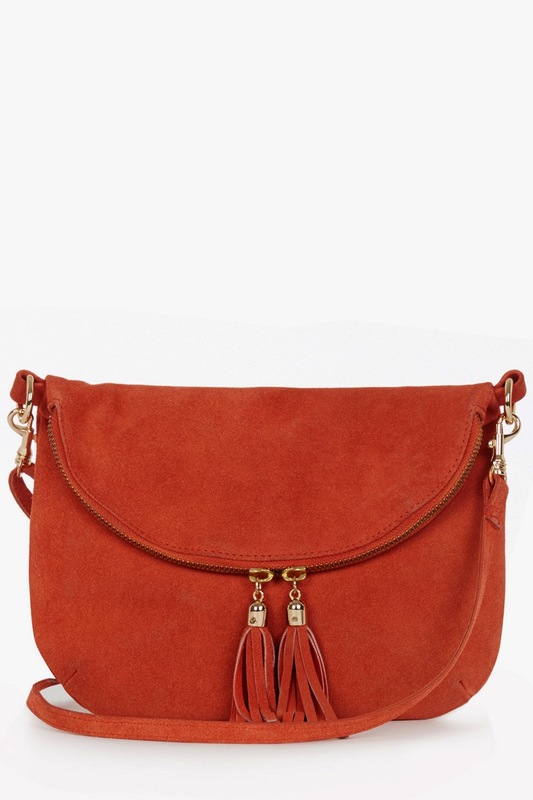 Mango also has a lot of faux suede for the s/s! 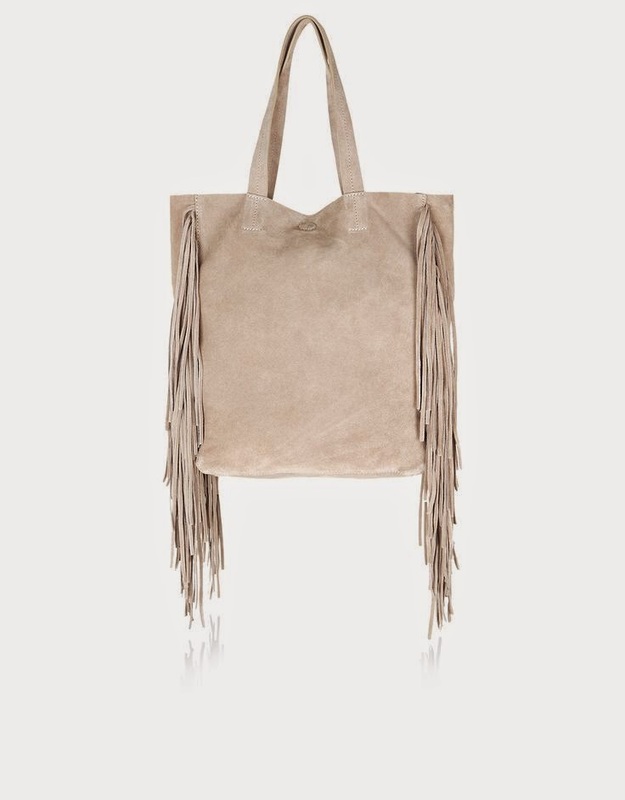 I was having a play with some of the suede fringed bags in Accessorize/Monsoon yesterday and they are lovely. I haven't given in to it yet though but I don't doubt it will just be a matter of time. 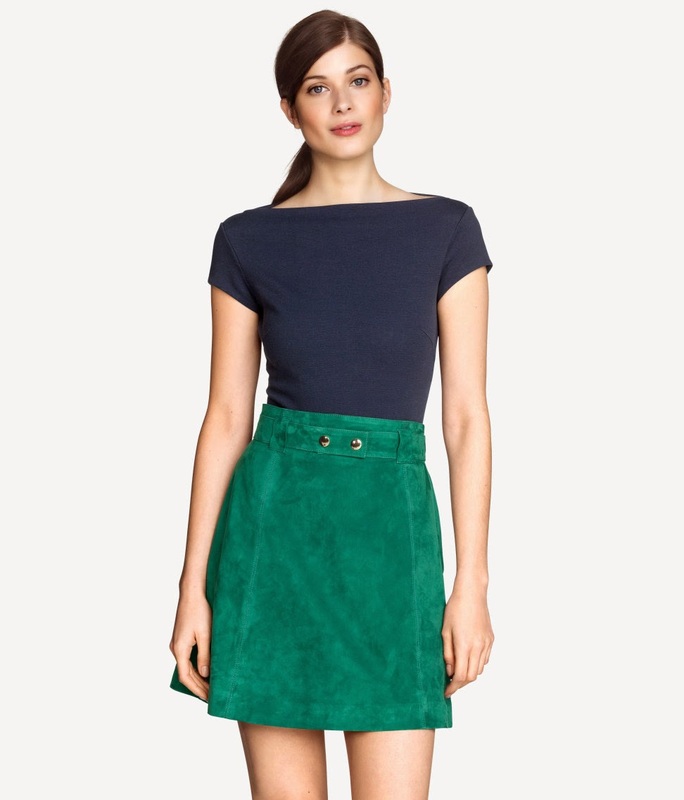 Can't wait to see you in the M&S suede skirt as and when you get it! 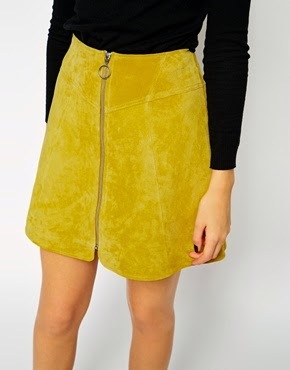 I think I'm more of a suede accessory kind of girl - I am a dirt magnet at the best of times, and the thought of spilling something on that gorgeous M&S skirt would terrify me! I could definitely go for a bag though, far less chance of me ruining that.